Olympus has a challenge. It’s really a perception problem but one that has a real impact. It’s something that the company needs to overcome. Last year, four camera companies announced or introduced full frame mirrorless cameras — Sony, Canon, Nikon and Panasonic. Olympus wisely committed to going forward with their micro 4/3 sensor. But, with a sensor that is 1/4 of the size of full frame, there is a perception that Olympus is stuck with a sensor format that has no future. While untrue, Olympus needs to change the discussion. It’s an uphill battle going against perception (mistaken as it is) and the entire camera industry. However, Olympus made the right decision. What if Olympus were to release their own full frame camera? They would become just another camera company fighting four other companies with a similar offering. What would be Olympus’ competitive advantage? How would they compete with Sony, Canon and Nikon, who already have a large stable of full frame lenses? My recent blog posts from my India trip has definitively convinced me of the advantages of a compact interchangeable lens system. I was able to carry two Olympus bodies with lenses and even an extra compact camera in a small unobtrusive bag that weighed next to nothing. Easy and unencumbered travel, while allowing me to shoot everything I wanted. You can’t do that with a full frame system. 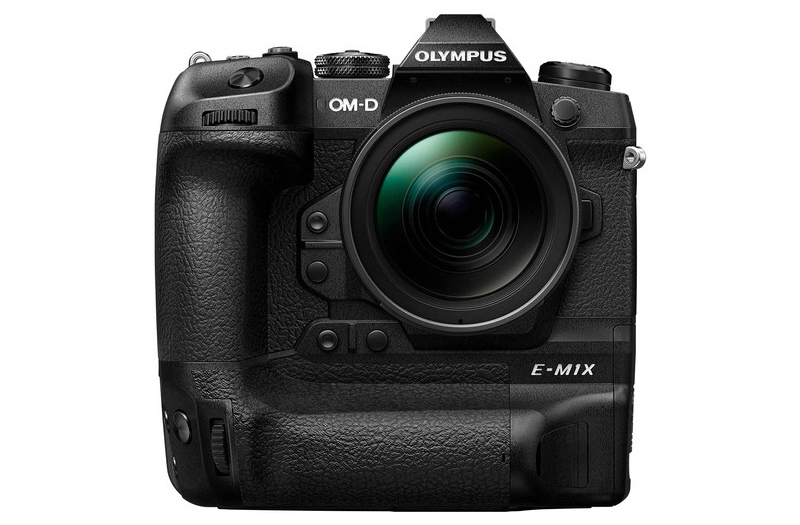 A couple of days ago, Olympus release their new flagship, the OM-D E-M1X. It’s an expensive, niche, halo camera aimed at sports and action shooters. While it’s not a camera that is targeted for me, there are interesting and promising technologies that offers hope for Olympus. Olympus has a rich history of innovation, and as a smaller camera company, they’ve always pushed first into technologies before the competition. The E-M1X has numerous signature features including industry leading 7 stop image stabilization, extreme weather resistance and a hand-held high-resolution mode. But, there’s one feature that really stands out — AI based focusing. Computational photography is the buzzword in the smartphone camera world and it’s the future. Olympus appears to be the first of the mainstream camera companies to go down this path. With the E-M1X you have a dedicated focus mode that detects trains, airplanes and motorsports using machine learning. It’s an important first step and has the potential to distinguish Olympus as well as address the weaknesses of the smaller micro 4/3 sensor. Consider this. Smartphones already use computational tricks to create artificial shallow depth of field effects. You can also use machine learning to greatly reduce high ISO noise. Less shallow depth of field and high ISO noise are the two physical limitations of a smaller sensor. These can be overcome with machine learning. With enough AI technology, Olympus can potentially meet or even exceed the capabilities of a full frame sensor, reducing or eliminating the larger sensor advantage, while retaining a smaller package. I’m sure the smart engineers at Olympus have already thought of this. The next obvious steps are to add dedicated focus modes for more subjects. People and animals would help portrait photographers, casual snapshot shooters, street photographers and wildlife photographers. The compact Olympus form factor makes them popular for birding, which will be another obvious focus. After improving the focusing, the AI based depth of field control and the high ISO in-camera noise reduction would round out all the shortcomings. Couple that with the class leading in-body image stabilization, high-resolution modes and the compact size and you now have a system that bests the full framers. Adding a big sensor with a corresponding big lens is old thinking — just an evolution from the film days from the last century. The future is AI and computational photography. That, coupled with a compact, high-performance camera with interchangeable lenses is looking to the future. The majority of people will use smartphones as their primary camera, of course. But for anyone who needs additional focal lengths, from super-wide to super-telephoto, with good ergonomic controls, and killer image stabilization, they will gravitate towards an AI powered Olympus. At least, that’s what I’m hoping for. What do think? Note: I also think there should be a way to turn off one or more of these AI features, if you choose to. And, these AI effects would be applied to the JPEG, while keeping the RAW in its non-augmented state. Whatever AI Olympus is using it’s not self-learning algorithms, it’s a type of AI utilizing deep learning. That is true and thanks for mentioning it. To add more intelligence and capability, Olympus will currently have to add it via firmware update. I agree exactly with your AI assessment. Further, I see me purchasing this body to use with my existing micro four thirds system. And I also, unfortunately, agree with how the world sees the sensor. There is absolutely nothing wrong with micro four thirds, and it has come to exceed original 35mm film by a wide margin. I know, I lived with it from the late 1960s until I turned fully digital in 2006. I started with the Olympus E-300, and I’ve never looked back nor had any regrets. … features. In particular, an ability to create even better bokeh. Olympus could forever slay the micro-four-thirds-cant-do-bokeh meme for every lens in the catalog, not just provide high end high-speed lenses. (sorry to reply like this, as I hit the post comment button before actually finishing this post). It’s great to have your perspective, Bill. I don’t have any immediate plans to buy this camera, though ultimately it depends what features from it migrate down to the smaller bodies. There are many people who don’t know enough or don’t think enough to make up their own minds. This is true in many industries. The reality is, for most people, Olympus cameras are more than they need. They just mindlessly believe full frame will magically make them better photographers. The reality is the opposite. By having a big camera, they are less likely to use it. Thus, they don’t take as many pictures. Hence, they just become photographer wannabes. A bit harsh, but true from my experience.